SURRY — Pugnuts Ice Cream Shop is offering its Front Heave Special this Spring. Customers will receive a free ice cream if they bring in their receipt for work done on their vehicle due to damage. The special will last until the Frost Heave signs and Road Posts come down. 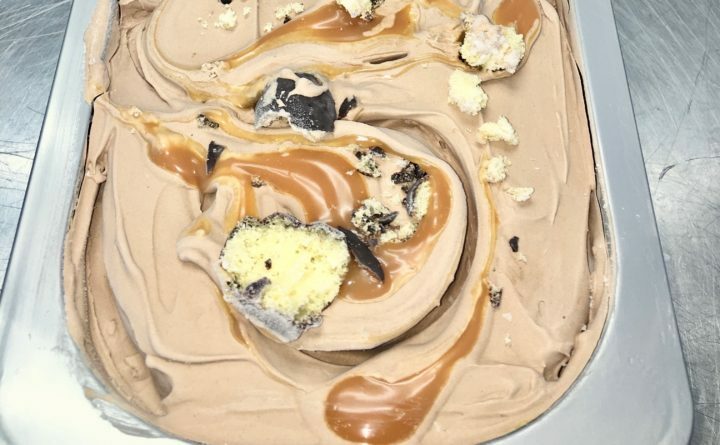 To mark the occasion, Pugnuts has created a special ice cream flavor – Mocha ice cream- mixed with chocolate covered donuts and a ribbon of salted caramel for the salty yellow stripe in the road. Details are available on the Pugnuts Ice Cream Shop Facebook page. For more information contact Eric Treworgy at 207-412-0086 or eric@pugnuts.com.